Hello lovelies, I am always trying to think of games to play with Oscar whether we're inside, outside or wherever. 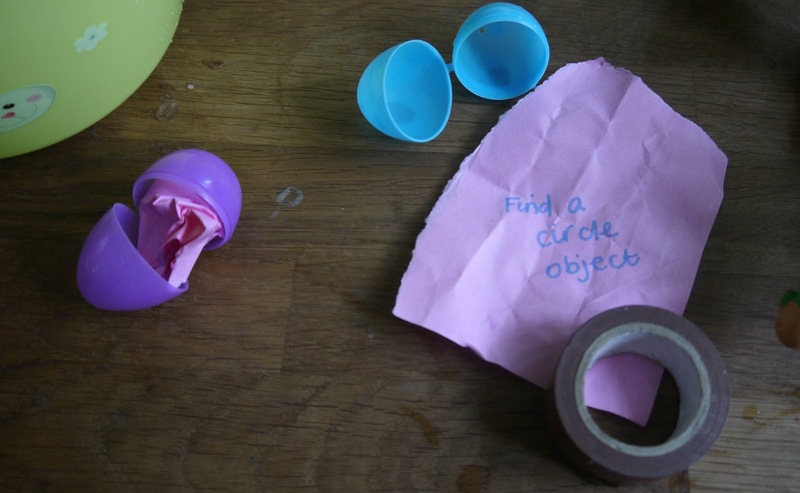 I cleaned his room out the other day and found the Easter basket we used for his little egg hunt and a handful of little eggs inside that open, instead of throwing these away or putting them in the garage for next Easter I thought they would come in handy for a little game I had up my sleeve. 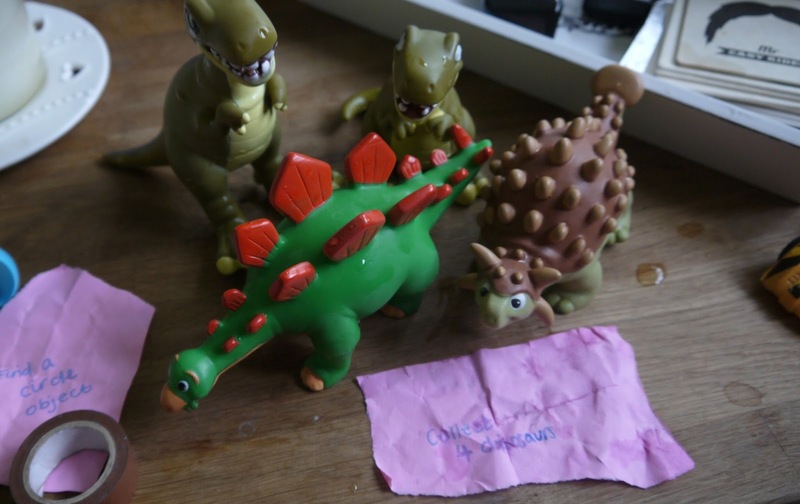 I first popped some notes on pink paper, things like 'collect four dinosaurs, collect three cars, find something red, jump on the trampoline five times, find a circle object etc' then screwed them up and put them into individual little eggs, I then placed the eggs around the garden and sent Oscar on a little egg hunt with his basket. 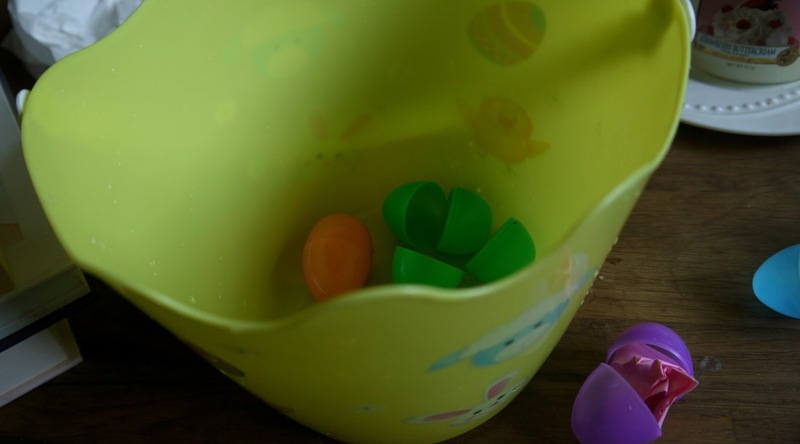 He would then come to me with his eggs, we opened them up together and I told him what he had to do, so he then went off again with his little basket and found the objects he needed too. He is so clever with his colours and getting there with all his numbers now, it's just a great way to get them learning but also have fun at the same time. I had lots of fun prepping this game for him and he thoroughly enjoyed doing it, he said again again. What activities do you like doing with your little ones or have any learning skills tips?